The essential elements of fluid service can be products and systems, service or individual projects and services which are assigned to us by our customers. The whole spectrum of fluid engineering is provided either by HYDAC Sales directly or by our certified Service Partners at home and abroad. We also aim to train customers’ specialist personnel through our HYDAC School. Indeed, the extensive range of further training courses and internal and external seminars and workshops on offer is focused exclusively on the needs of our customers. It is also constantly being updated in line with the latest technology and international legal requirements. Fluid Service is a total concept of technical services for our end users which aims to increase machine availability and optimise hydraulic equipment and systems. It should also help to reduce customers’ operational costs. From fluid management to oil flushing services and fluid flow analysis, we do all we can to ensure your hydraulic equipment continues to work at its optimum with our fluid services. HYDAC boasts an experienced team of engineering managers, electronic engineers, electrical engineers, hydraulic engineers, mechanics and welders, ready for deployment anywhere around the world. They’re available for everything from sighting, installation and connection right up to oil flushing services, pressure testing and actual commissioning. We can also connect new componentry or combine subsystems, such as adding an offline filter system into an existing system. In very urgent cases, we carry out emergency or express repairs. In such cases, you will get the repaired part back within a few hours, or we will fit it straight back into the system for you. Moreover, we undertake repairs for the whole range of HYDAC fluid management products as well as other makes of equipment. Depending on your requirements, we distinguish between repairs relating to individual orders with prior consideration of the cost, and a package using replacement and spare parts. In addition, in very urgent cases, we carry out emergency or express repairs of fluid handling equipment. In such cases, you will get the repaired part back within a few hours, or we will fit it straight back into the system for you. HYDAC provides technical services with regard to specifications, spare parts, repair, maintenance and optimisation of oils (including oil flushing services), water, lubrication, cooling lubricants and air. Indeed, we analyse your production and servicing workflow from the technical and commercial point of view of fluid power technology, and make a critical analysis of existing concepts and cost accounting. In this way, we move from the individual examination of the medium or component to a holistic approach. CM-EXPERT: Collection of Data, Analysis, Monitoring, Control and Archiving – With One Single System! CM-Expert is a powerful monitoring / archiving and control system. Its installation can be on any commercially available PC. Plus, its decentralised configuration makes the system extremely reliable, fail-safe and flexible for use in production systems. As regards to connecting sensors, operating and signal components, control tasks and data exchange with other systems, by using the data acquisition unit (MDE), the system has, therefore, no limits. Indeed, the MDE can record all common physical parameters. Therefore, the CM-Expert can process temperature, pressure, differential pressure, viscosity, water content, particles, flow rate, etc. Directly on-site or via remote enquiry! Our ‘remote’ version of CM-Expert is perfectly applicable to the Wind Energy, Off Shore applications and mobile hydraulics. It informs the operator in real time about the condition of a system and initiates service exactly when it is necessary. Pre-scheduled (thus expensive) maintenance has now become obsolete! 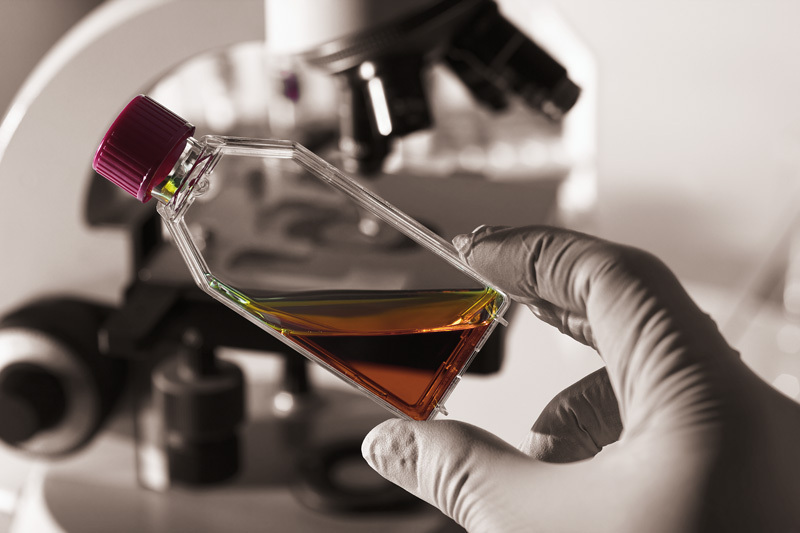 HYDAC can assist with a wide range of fluid services, from fluid handling and microscopic analysis of different materials through to oil flushing services, fluid flow analysis and more. Contact us today to learn more.